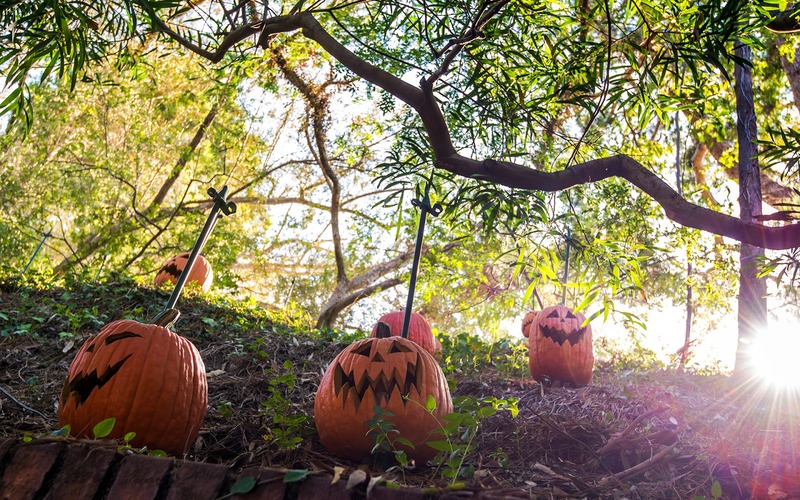 Last Friday the 13th, while I was waiting in line for the Haunted Mansion Holiday, I happened to glance up at the hill of the berm that separates Disneyland from the outside world. 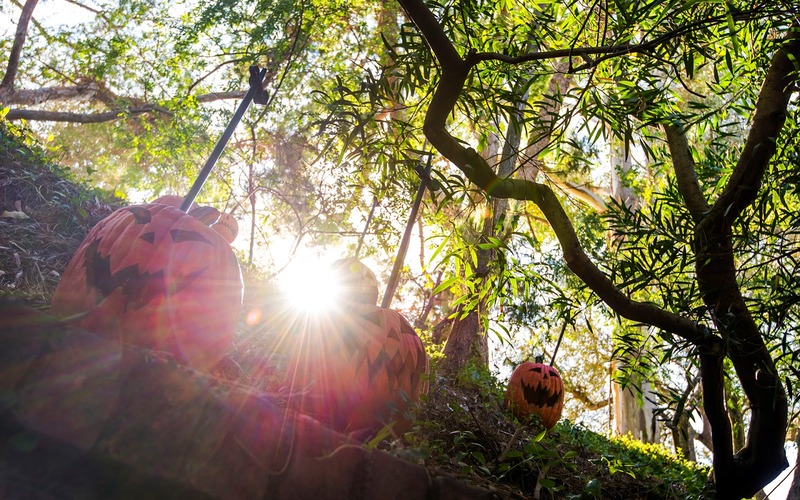 During this time of the year, the Imagineers place eerie jack-o-lanterns on the berm, skewered with stakes. It makes for a cool and creepy sight, but at this time, the sun happened to be "setting" over the horizon of the hill, creating a great photo opportunity. With just a little bit of time to compose before I knew I'd have to move forward, I positioned my camera into the light and shot with a raised exposure. Yes, I broke the general rule of never shooting into the sun, but sometimes, if you know when, breaking the rules can yield a pretty cool image! The pumpkins on the hill of the berm of the Disneyland Railroad, next to the Haunted Mansion line. I think the sunlight and flare makes for neat effect.